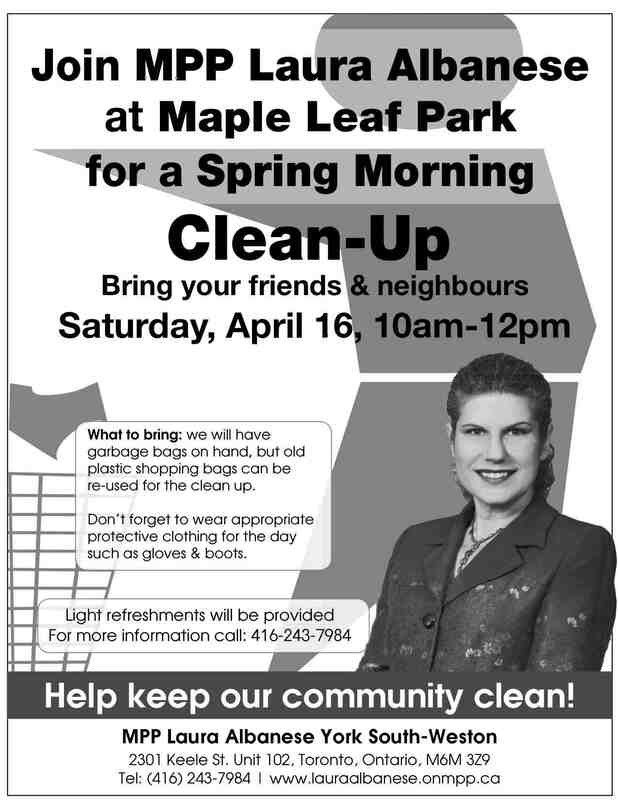 Laura Albanese, our MPP, will be hosting a spring clean-up this Sunday, from 10 am–12. She’ll provide the refreshments and the garbage bags; you provide the gloves and sweat. Meet at her constituency office, 2301 Keele St.